Dubai: Hikers and mountain bikers can now use two new trails of a total length of 12 kilometres in Hatta, a part of Dubai in the rocky northern region. A nine-kilometre trail passes through tourist spots like the Hatta Heritage Village, three dams, a park, and family recreation and children’s playing areas, several farms, and the fruit and vegetable market. It ends at the Hatta Dam, near the site where the second, three-kilometre track begins. From there, the second trail goes around the hills near the dam. Built by Dubai Municipality, the new hiking trails mark the first part of a multiphase project to draw more tourists to Hatta. The sleepy exclave, which is around 90 minutes’ drive from Dubai city, is home to around 12,000 people. High in the Hajar mountains, Hatta is often noted for its milder climate and low humidity. The first buildings in the town — a mosque and two military towers — date from the late 1700s. Tourists often visit to explore the area’s wadis in 4x4 vehicles. 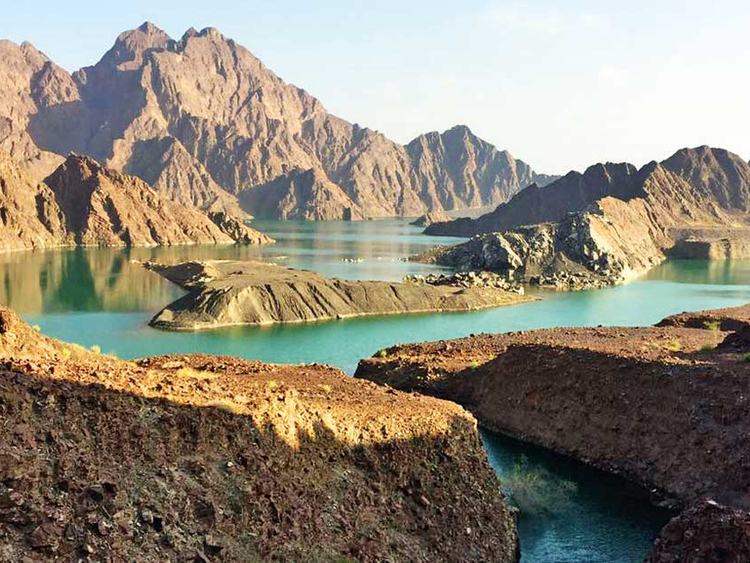 The new trails are the latest step in a Dh1.3-billion comprehensive development plan for Hatta, which aims to boost the local economy and turn the exclave into an ecotourism destination. The plan was launched in November last year by His Highness Shaikh Mohammad Bin Rashid Al Maktoum, Vice-President and Prime Minister of the UAE and Ruler of Dubai. “We are proud that Dubai Municipality has contributed to enhancing the infrastructure of Hatta through a number of projects that will have a positive impact on the area,” said Khalid Sharif Al Awadhi, a municipality official. The new trails aim to “provide visitors with new opportunities to explore the region … and highlight its historical and natural attractions to tourists”, said Omar Al Mutaiwe’e, head of Dubai Municipality’s Hatta Centre.